The Nigerian Airspace Management Agency (NAMA) said it has taken delivery of another consignment of critical spare parts required for the continuous service and operation of the Total Radar Coverage of Nigeria (TRACON). TRACON, which is a Federal Government project, started in 2003 and was completed in 2010 at the cost Euros 66,500,870 (about N27.9 billion). The decision to secure spare parts for the about N27.9 billion radar facility came on the heels of the revelation by the Director of Safety Electronics and Engineering Services, Engr. Farouk Umar, September last year, that the agency lack spare parts to replace the bad ones . The Director, who spoke at the stakeholders’ interactive forum organised by NAMA added that efforts to source spares from the manufacturer for the replacement of bad ones proved abortive. Umar had hinted that the situation had been like that since 2014; four years after the project started, adding that the agency had been operating the equipment without spares and that TRACON was equally due for upgrade. 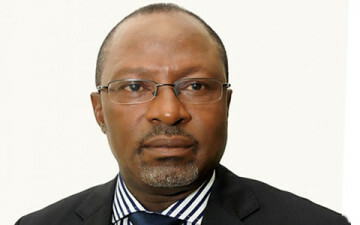 According to the agency, the consignment, which was cleared at the Apapa port in Lagos from Thales Group, in France include MES1 1400A power supply modules, control units and other critical units that would be used by NAMA engineers to effect repairs on any of the nine TRACON installations across the country as may be required to ensure optimal functioning of the system. He disclosed that apart from the spares already received, another consignment of spares has landed at Apapa port and is being presently cleared while other consignments are already being shipped to Nigeria from France according to the shipping schedule sent to the agency by Thales, and that payment has already been made for all consignments ordered for. Be the first to comment on "At Last, NAMA Takes Delivery Of TRACON Spare Parts"